Considered the Nobel Prize of computing, the prestigious Turing Award for 2018 has been rightfully bagged by Yann LeCun, Geoffrey Hinton & Yoshua Bengio who have been referred to as the Godfathers of AI for having developed some remarkable innovations in the field of artificial intelligence. At a time when the field was doomed and experts feared that ‘AI winter’ might be the final call of the much-talked technology, the trio believed in the potential of AI and brought to the world the innovations such as neural networks, self-driving cars, facial recognition, CNN and much more. In the mid-90s when the community had lost interest in AI and deep learning, the trio worked on bringing newer innovations in the field. But it was only in 2012 that the community started taking note of their work, especially in ImageNet. 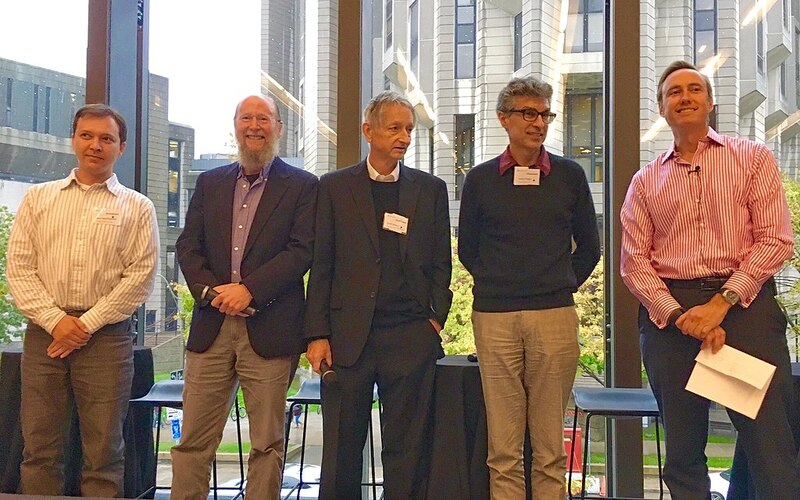 Presented by the Association for Computing Machinery, they have been awarded $1 million annual prize for their work in AI. The trio has worked independently and together laying the foundations of the field and contributed immensely in the advances of deep neural networks. Yoshua Bengio: Having received his bachelor, masters and PhD from McGill University, he was a post-doctoral fellow at MIT and AT&T Bell Labs. Currently a professor at the University of Montreal, he had co-founded Element AI, a Montreal-based artificial intelligence incubator that turns AI research into real-world business applications. He also serves as a strategy adviser for Montreal-based legal tech startup Botler AI. Yann LeCun: LeCun is a leader in the fields of machine learning, computer vision, robotics and computational neuroscience. Currently a chief artificial intelligence scientist at Facebook AI Research, he is best known for his work on optical character recognition and computer vision using convolutional neural networks, convolutional nets and more. Geoffrey Everest Hinton: He is best known for his work on artificial neural networks and currently works for Google Brain and the University of Toronto. He is the co-author of most highly regarded papers on the backpropagation algorithm for training multi-layer neural networks. “Deep neural networks are responsible for some of the greatest advances in modern computer science. At the heart of this progress are fundamental techniques developed starting more than 30 years ago by this year’s Turing Award winners, Yoshua Bengio, Geoffrey Hinton, and Yann LeCun. By dramatically improving the ability of computers to make sense of the world, deep neural networks are changing not just the field of computing, but nearly every field of science and human endeavour,” said Jeff Dean, Google Senior Fellow and SVP, Google AI to the Turing Award’s official website.